Google’s acquisition of Waze in mid-2013 for a reported $1.3 billion and Mobileye’s $5.3 billion blockbuster IPO the following year, marked a turning point for the Israeli startup ecosystem. Both were surpassed three years later in Mobileye’s acquisition by Intel for a $15.3B—marking the largest acquisition of an Israeli technology company. All three have drawn the attention of Israeli entrepreneurs, giving rise to an active and fruitful ecosystem. 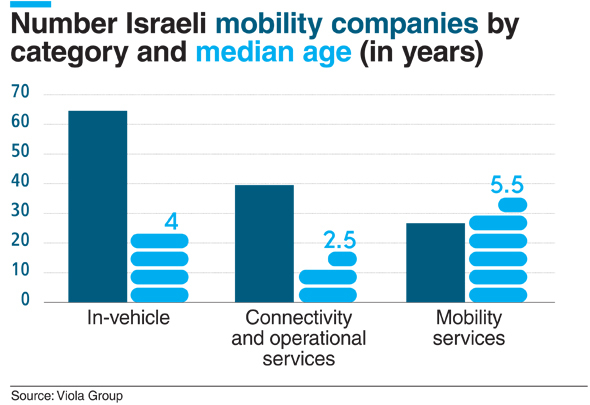 The number of mobility startups founded in the country between 2014 and 2018, was nearly twice as high as the number of companies founded between 2009 and 2013, according to data aggregated by Israel-based venture firm Viola Group. In 2016, 27 Israeli mobility startups were founded. Total money raised has grown from about $180 million in 2015, with a median deal size of less than $3 million, to $730 million in 2017 with a median deal size of $6 million. Though median deal size has grown to $10 million, total funding in 2018 has been sub-$400 million to date, with no mega-deals such as those we’ve witnessed in recent years. However, with leading mobility startups currently fundraising large sums, we expect this number will grow significantly by the end of the year. Of roughly $5 billion raised, a handful of companies raised the lion’s share of total capital invested. Propelled by innovation, the mobility market is driven by the primary goal of reducing the cost of transportation—per mile per person, or per package—through the all-important trinity of shared, autonomous and electric vehicles (SAEVs). A race is now underway to lead the fulfillment of this future mobility dream, and leverage cost reductions to introduce innovative, on-demand services to businesses, and consumers. The first wave of Israeli mobility startups is now at its peak, with companies focusing on in-vehicle and mobility services technologies. We anticipate that the next wave will focus on solutions connecting the vehicle to its environment and introduce mobility services. 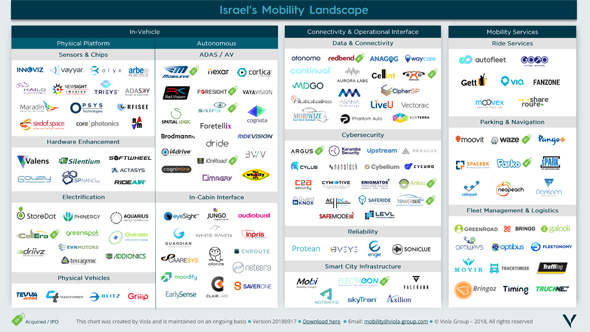 Following is our analysis of the local mobility landscape, including a map of Israeli startups operating in the domain. The startups were grouped into three verticals: in-vehicle, connectivity and operational interface, and mobility services. In-Vehicle. This vertical includes technologies implemented inside vehicles, typically sold to OEMs, Tier 1’s and potentially to new entries such as Waymo, Baidu and Uber. Contracts in this layer are commonly significant and categorized by lengthy periods of design, specs, and integration. Israeli companies in this vertical, including the likes of Mobileye, Innoviz, and Valens, have developed high caliber, multidisciplinary technologies, and succeeded in closing significant deals with car manufacturers. We believe that the domain will continue to build in the local ecosystem. Connectivity and Operational Interface. Even when equipped with a wide variety of in-vehicle technologies – SAEVs cannot exist in a vacuum. A scalable, secure SAEV operation will require complementary connectivity and operational solutions in the interface between the vehicle and its environment. The massive proliferation of autonomous vehicles, for example, will require supporting city infrastructure, stable, high-speed communication, and robust cybersecurity. Electric vehicles will require infrastructure with adequate power supply and distribution capabilities, all of which will enable precise large-fleet orchestration with zero downtime tolerance, loss of control or other safety issues. 40 Israeli companies operate in the domain, with a median age of only 2.5 years. Rich with new technologies and innovation, we believe this vertical will play a major role in creating future local mobility success stories. Mobility Services. This vertical is made up of domains including consumer, fleet management, ride-hailing and logistics. Just as the first wave of mobility leveraged the new technologies of its day, namely smartphones and artificial intelligence, to introduce new services, we anticipate the next wave will take advantage of new SAEV technologies (such as cars connected to each other and the surrounding infrastructure) to upgrade our experience and introduce more effective ways of performing a variety of tasks. 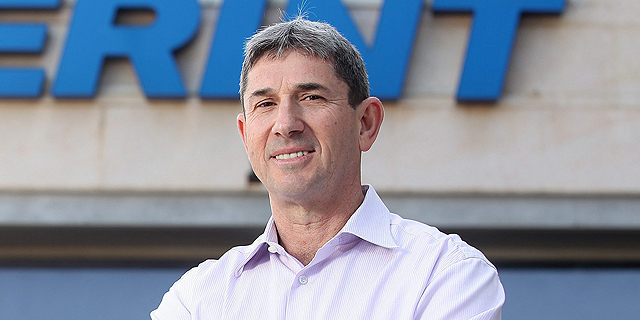 Israeli-linked companies operating in the domain include Moovit, Gett, and Via. Growth stage mobility service companies have raised on average more than three times the capital than mobility companies from the other vertical, and double if excluding outliers, such as Gett and Via which have raised hundreds of millions of dollars each, according to the data aggregated by Viola. We believe that as the domain develops, we will see more innovation in vehicle forms and better tailoring of a task to form factor: rather than using a standard car for a pizza delivery, the task might be performed by a small robot. The inevitable and dramatic decrease in the cost of transportation and delivery time we will see, as a result, will give rise to a whole new world of B2B and B2C services, and additional winners will emerge in this space. Zvika Orron is a partner at Israel based venture capital firm Viola Ventures. Yair Weizman is an investment associate at Viola Growth, a growth capital and buyout fund that is part of Viola. The map presented is updated regularly and can be downloaded from original article published on the firm's website .